Schedule INFINITI service and maintenance at our INFINITI service center near Hamden, CT. Our INFINITI service technicians know your vehicle inside and out, and can give your luxury car or SUV the care it deserves. We repair INFINITI models every day and pull from our inventory of genuine INFINITI parts, so you can rest assured that quality components are going into your vehicle. 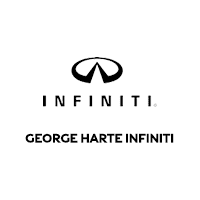 Whether you need an INFINITI oil change, brake repair, transmission service or other maintenance, you can trust the experts at the George Harte INFINITI service center. Schedule INFINITI service online or drop by our Wallingford INFINITI service center to speak with one of our technicians. We can book you an appointment at a time that works for you, service your INFINITI quickly and get you back on the road in no time. Don’t put off factory-recommended maintenance — schedule INFINITI service at our dealer and keep your vehicle on the road for years and miles to come!